Before any opportunity is offered to me, I always do my research. I search up the positives and negatives so I can make an informed decision. That seems to be common sense; at least that’s what I thought. Occasionally, i’ll do a twitter search for “Autism Speaks” to see what kind of propaganda is being perpetuated. I’ll usually see parents, this running app (CharityMiles) that donates to them and merchandise with puzzle pieces for sale. Yesterday was a bit different. The last big rift between the Autistic community and an outspoken supporter of Autism Speaks would be the whole Niantic deal. The Makers of POKEMON GO decided it would be excellent publicity to partner with the Autism Speaks Run and have their own family fun booth. They were met with outrage and rightfully so. Pokemon Go gave some individuals a reason to get outside and engage. I wasn’t one of those people, but there were other reasons given that made it seem like the Autistic community embraced it–that is, until, they made an incredibly rash decision without any research. So, back to yesterday, I noticed there was a gamer by the name of Ash or Clash With Ash (CWA) who was incredibly excited to share the news of his ambassadorship with Autism Speaks. His video was complete with puzzle pieces in the background. What a lovely touch. He’s even gone so far as to raise money for AUTISM SPEAKS, already. We, the Actually Autistic community have been on it. We’ve let him know that this isn’t helping us – that it’s actually hurting us. Ash’s followers are commending him and don’t seem to be questioning him. I’m assuming they believed he did his due diligence and researched Autism Speaks before he went full out and posted all his puzzle-piece laden propaganda for them to eat up and praise him for. He’s been incredibly quick to thank his supporters and put us in the backseat. Part of me believes he thought this would be good publicity and paint him as some kind of saint because his late Brother was Autistic. Here’s the initial tweet that started this all. If you take the time to scroll through his twitter, you’ll see the calm before the storm. I took it upon myself to let his followers know that his actions are the opposite of commendable-by informing them that Autism Speaks is not a good organization. I don’t recall any of them responding to me. I’m not sure how this benefits him. Perhaps it gives him a greater sense of purpose and believes that because he has a platform and an audience, that he could bring some kind of awareness to a cause he says is so important to him. We don’t need that. We can advocate for ourselves without hiding behind the guise of a hate group. There’s also better organizations to donate money to, like ASAN. This is a FUNNY (not) story. My Mother was doing some banking recently and overheard a Woman talking about an Autism walk coming up. My Mom asked if it was Autism Speaks and the woman didn’t know. Apparently it WAS autism speaks. I took it upon myself to contact some notable sponsors who are ALL listed on their website. My name is Margaux Wosk and I am an outspoken advocate for Autistic individuals like myself. I wanted to take the time to tell you a little bit about the negative impact you are having on our community. 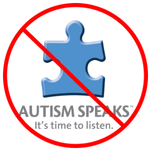 Autism Speaks is highly disliked and rather frowned upon by the #actuallyautistic community. We use the hashtag #boycottautismspeaks. Autism Speaks wants to find a cure for us, they believe we should cease to exist and with their genetic testing and “research” –well, it’s all in the hopes that we should vanish off the planet. Eugenics, plain as day. Only a very small fraction of the funds they raise goes to help autistic individuals, i believe 5 percent. The majority of it goes to research. We do not need a cure, we do not need awareness. We need acceptance and inclusion. Those are the most important things for us. Clearly, I would know since I believe individuals like us deserve respect. We do not want a cure; we do not support ABA. If you’re interested in better places to donate your funds, please consider the autistic self advocacy network or even our local Autistic Meetup Group. They are always in need of help. I would hope you would take this chance to respond to me and reconsider your support and financial contributions to autism speaks in the future. I do not know how you got my email but please do not email me. Hm, I wonder how I did that. Invalidated by a neurotypical person, silenced and falsely accused of spreading misinformation… This is terrible and these are the people that are raising money for us to fail to exist. I’m not surprised by the fact I was just spoken down to and told to not email this person. Awful. if they don’t want their names public then maybe they should consider that their names are publicly posted on the autism speaks website? Please signal boost this if you can. We need acceptance, not awareness.